I am back from the liquor store safely. 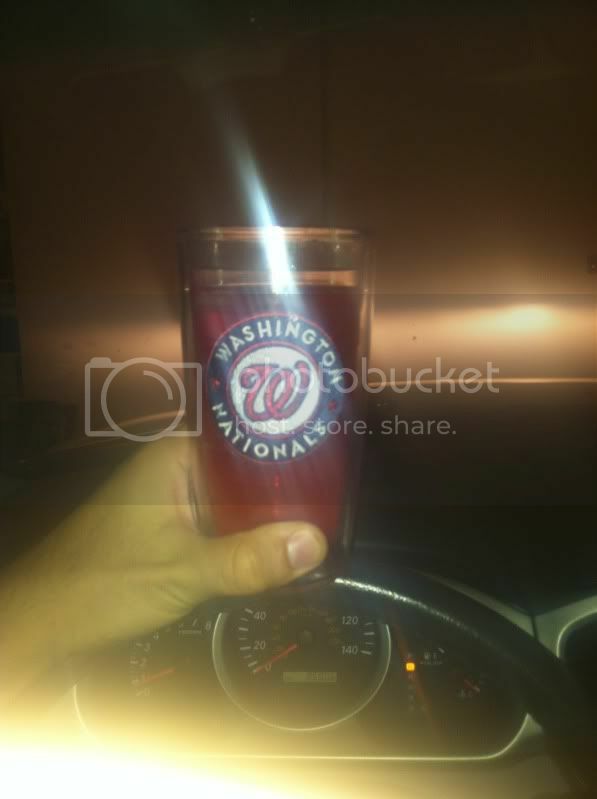 My Nationals Tervis Cup has guided me true. That run should've scored easily. He's incapable of pitching with a lead. Pathetic! Runners are on 2nd and 3rd with no outs, FP. He's not "sneaking out" of this. Our only hope is that we're not losing when this inning is over. Embarrassing. Getting owned by bums and rookies. Every time we score he gives it back. JZ's long term price has at least cut in half after this second half. Looks like a solid #3 SP, nothing more. Not a $100 MM pitcher. Only an idiot thought he was a $100 pitcher anyway. Hard to get 20 wins. don't be a douchebag. Yeah they are pretty awesome... but they seem to be an east coast/southern thing. I never saw them while living in California but they are everywhere out here. Mystics just clinched a playoff berth (won at Indiana 69-67). Bob you idiot they were probably watching themselves on the monitor.